Boruto: Naruto Next Generations‘ last episode 92 from Mitsuki Disappearance Arc will air next week. The episode 92 will conclude this arc where all Hidden Leaf genins will return to their village. 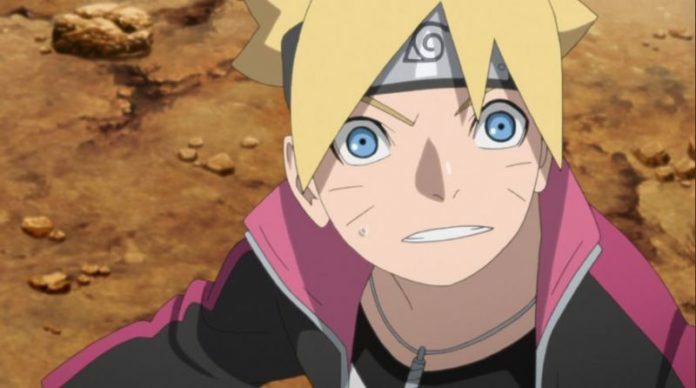 Here's the latest news for the upcoming Boruto anime episodes~ The Uzumaki Report section features frames and new characters from the Naruto Shinden light novel adaptation. I have included a translation for EP #92's summary as well, which will finish out our current arc! The above synopsis tells that members of Team 7 will be responsible for punishment for their action against the village. Naruto’s son has successfully brought Mitsuki back in the correct path who left the town to test his own will. On the other hand, former Tsuchikage Ohnoki’s Fabrications and Akuta creatures damage the Iwagakure village. Hence the fourth Lady Tsuchikage now has more responsibility towards the reconstruction of the village. The spoiler information also tells us that Boruto will have to pay for his retribution to infiltrate Hidden Stone without permission. ‘Boruto: Naruto Next Generations’ will air its next episode on February 03, 2019.